Friends and students of Walter Eucken founded the Walter Eucken Institut on January 11, 1954, four years after the death of Walter Eucken. 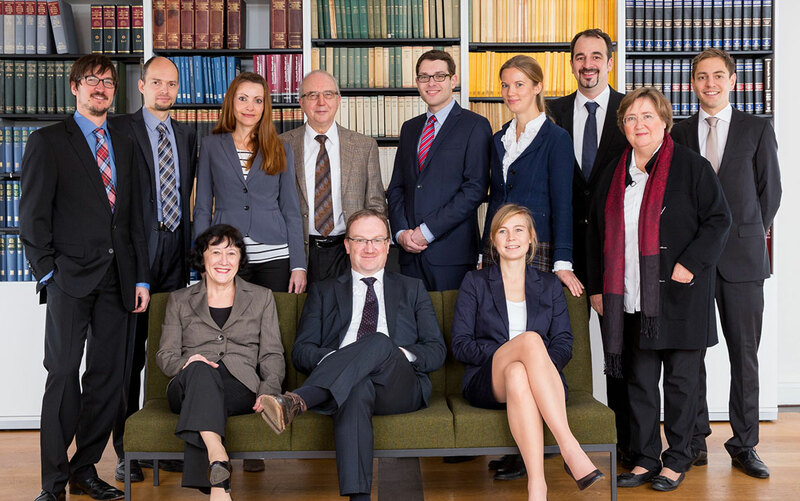 The institute is an independent organization that pursues economic research in the Freiburg School tradition, a tradition for which also the name Ordoliberalism was coined. Questions about the maintenance, functioning and the future of a market order as a legal-institutional order constitute a core theme of our research agenda. The institute regularly organizes lectures, research seminars, hosts academic conferences, and releases publications to bring ordoliberal thinking into academic discourse as well as into debates and practice in the public, private and non-profit sectors. From the beginning of the institute, the idea of making ordoliberal ideas accessible to the broader public received prominent support: Then Minister for Economic Affairs, Ludwig Erhard, encouraged the foundation of the institute in 1954. Nobel Prize laureate Friedrich A. von Hayek was a board member from 1964 to 1970, and honorary president of the institute from 1970 until his death in 1992. From 2003 on, James M. Buchanan, also a Nobel laureate in economics, held this office . The Walter Eucken Institut contributes to current political debates and develops ideas for maintaining the social market economy by systematic synthesis of Freiburg ordoliberal thinking, Friedrich A. Hayek’s evolutionary social and economic theory and James M. Buchanan‘s modern constitutional political economy. Modern constitutional economics is not only understood as a national solution for Germany, but as a valuable contribution to New Institutional Economics, Public Choice and an empirical foundation of Finance on a European and global scale.